Columns Nutrition Do Kids Who Grow Kale Eat Kale? Given the enthusiasm that surrounds garden-based learning today, it’s worth taking stock of their overall impact: Do school gardens actually improve the education and health of young people? School gardens have become a favorite strategy of prominent advocates in the “Good Food Movement.” Both celebrity chef Jamie Oliver and former First Lady Michelle Obama have been vocal supporters. Transforming Kids’ Lives Through Gardens? 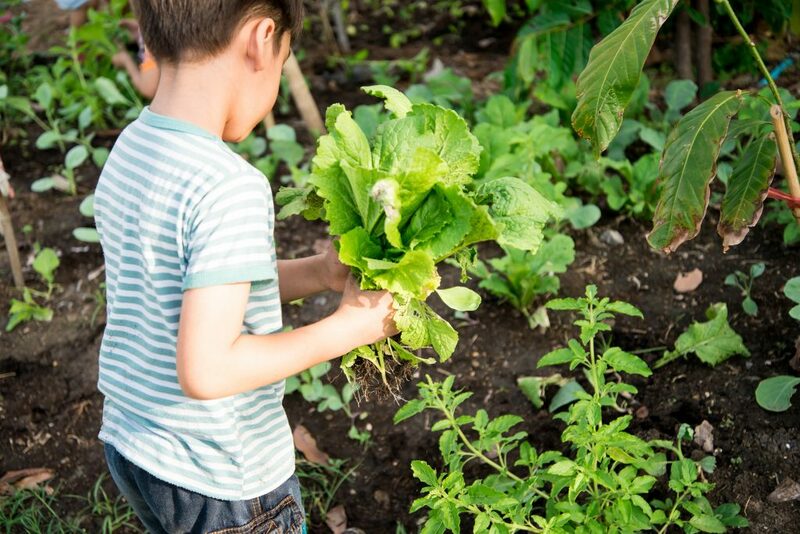 Advocates argue that gardening helps kids make healthier eating choices. For gardens to effectively promote learning and health, they must be supported and reinforced by the community as a whole. Surveys of school garden practitioners show that garden programs have serious potential to enhance school and neighborhood life — but only if certain conditions are met.